The first World War wireless station in Stockton, which has been Grade-II listed. 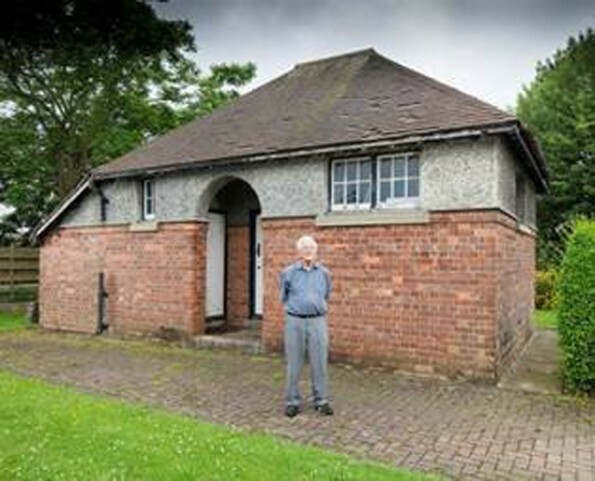 Owner Donald Yeaman in front of his historically-significant home. A RARE First World War wireless station is among five historically significant places listed today to mark 70 years of protecting England’s significant buildings. The wireless station in Stockton, built in 1912-13, is now a grade II-listed building to mark the system of listing buildings and places of significance. The Town and Country Planning Act of 1947 established the architectural protection system, which has seen more than 400,000 places across England classed as listed buildings, including 710 windmills, 514 pigsties, 262 palaces, 72 piers, 16 plague crosses, 13 dung pits, three scoreboards, two fairground rides and one rocket. The rare example of a surviving First World War wireless station, on Marley Close has been added to the National Heritage List for England by the Department for Digital, Culture, Media and Sport on the advice of Historic England. The building is thought to be the Royal Navy’s only station capable of intelligence gathering at the outbreak of the First World War. Now a private home, in its heyday Y Station Stockton was an integral part of a network of sites feeding information to the military and was perfectly positioned to monitor communications across the North Sea. Very few First World War wireless stations are still standing, so the building is a rare example from the early days of the development of wireless technology. These stations had the capability to use intelligence gathered from the enemy, including decoding messages, checking positions and predicting targets, which played a large role in Britain’s success in the war. The “Y Station” was based at Stockton and became part of a network of sites feeding information to the military. A local historian has described how staff slept in bunks on site. Radio masts were dotted around the building, which were powered by large batteries. The house was purchased from the Navy in the 1920s and has been a private home since then. Other new listings announced today include a London cabbie shelter, an underground “hobbit house”, geometrically-shaped Pillwood House in Cornwall and Gothic-style funerary buildings at Willesden Jewish cemetery in North London.